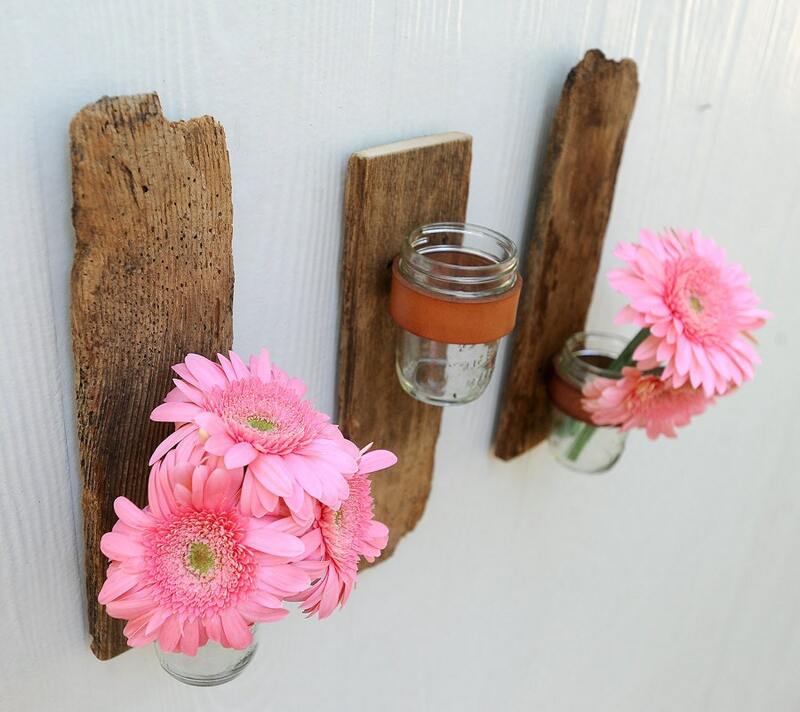 Reclaimed wood AND repurposed leather belts AND mason jars – Holly and PJ from Getting Weddy on Etsy put them together to create unique wall sconces. The fact that they are using existing resources makes my heart sing. The fact that they are saving money for their 2012 nuptials is just too sweet for words.